Since the current crisis emerged in late 2013, ICSA has mounted a sustained campaign to have the situation resolved in a manner satisfactory to farmers. ICSA is calling for a regulator to deal with problems such as sudden and unwarranted changes in price and spec, anti-competitive practices designed to manipulate price, difficulties in exporting live stores to Northern Ireland and Britain, savage cuts on animals that don’t meet quality assurance criteria and the overall concern about the suckler herd. ICSA has petitioned the Minister, the processors and the retailers through a sustained media campaign (see press releases below), to which the Minister responded by setting up the Beef Round Table, which has now met twice. ICSA has made the case for farmers at this forum, but as yet, primary producers have seen no improvement in prices and frustration is growing. ICSA representatives continue to highlight the crisis on national and local radio and print media along with all other available channels. 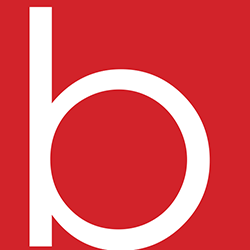 Scroll down for a full list of all press releases issued since the crisis began. Members of the Irish Cattle and Sheep Farmers’ Association voiced their frustration through a poster campaign at Teagasc’s Beef Open Day at Grange, Co. Meath. The posters, displayed on approach roads to the event, highlighted the key issues facing beef and suckler farmers, including unsustainably low prices, the need for regulation of the beef industry and the sudden arbitrary change in factory specifications. ICSA has a mounted a strong lobbying campaign to ensure that various key stakeholders are aware of the situation and the urgent need for action. On July 10th and 11th, ICSA met Northern Ireland Agriculture Minister Michelle O’Neill MLA to discuss key cross-border issues in relation to the beef crisis. 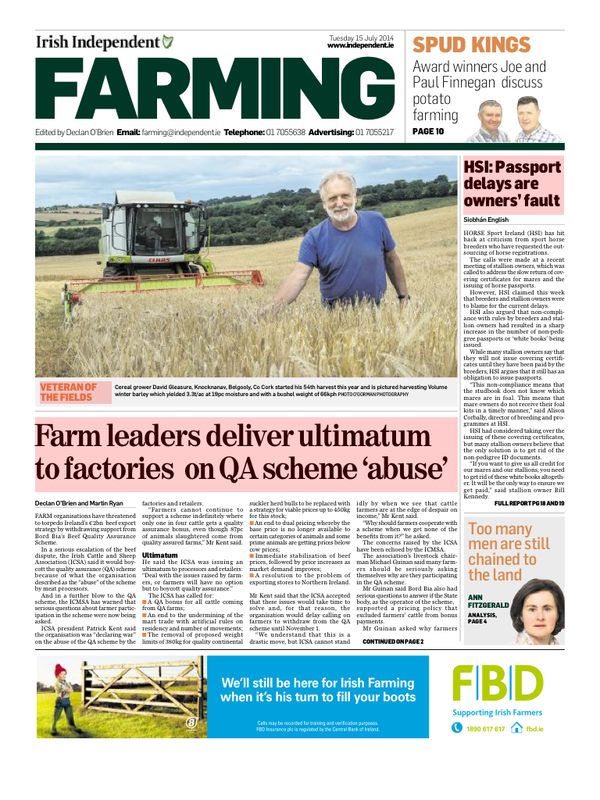 In its latest offensive, ICSA has declared war on the abuse of the Quality Assurance Scheme by meat processors and retailers, launching an ultimatum to processors and retailers: deal with the issues raised by farmers, or farmers will have no option but to boycott quality assurance. A quality assured bonus for all cattle coming from a Quality Assured Farm. An end to the undermining of the mart trade with artificial rules on residency and number of movements. The removal of proposed weight limits of 380kg for quality continental suckler herd bulls; to be replaced with a strategy for viable prices up to 450kg for this stock. An end to dual pricing whereby the base price is no longer available to certain categories of animals and some prime animals are getting prices below cow price. Immediate stabilisation of beef prices, followed by price increases as market demand improves. A resolution to the problem of exporting stores to Northern Ireland. ICSA understands that these issues will take time to solve and for that reason will hold off until November 1st before calling on all farmers, farm organisations and marts to withdraw co-operation with the Quality Assurance Scheme. 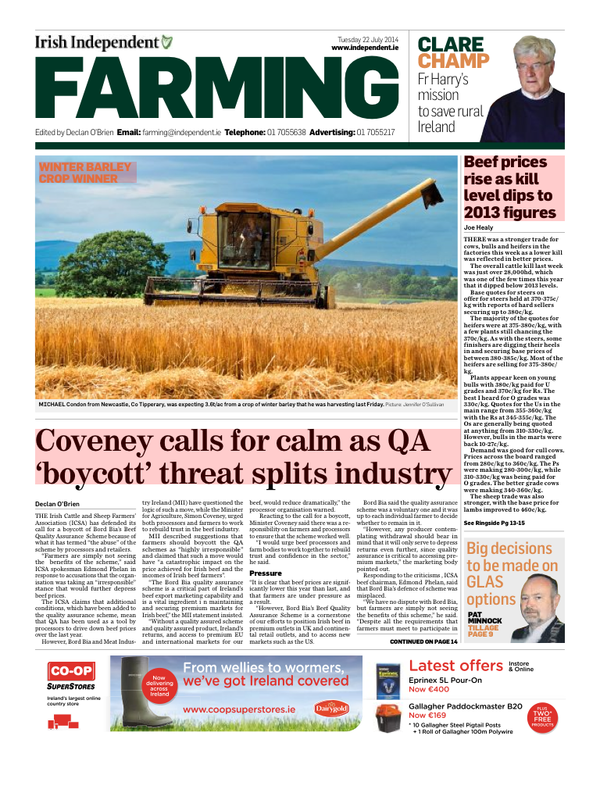 ICSA’s ongoing campaign has received front page coverage in the Irish Independent Farming over three consecutive weeks, July 15th, 27th and 29th. 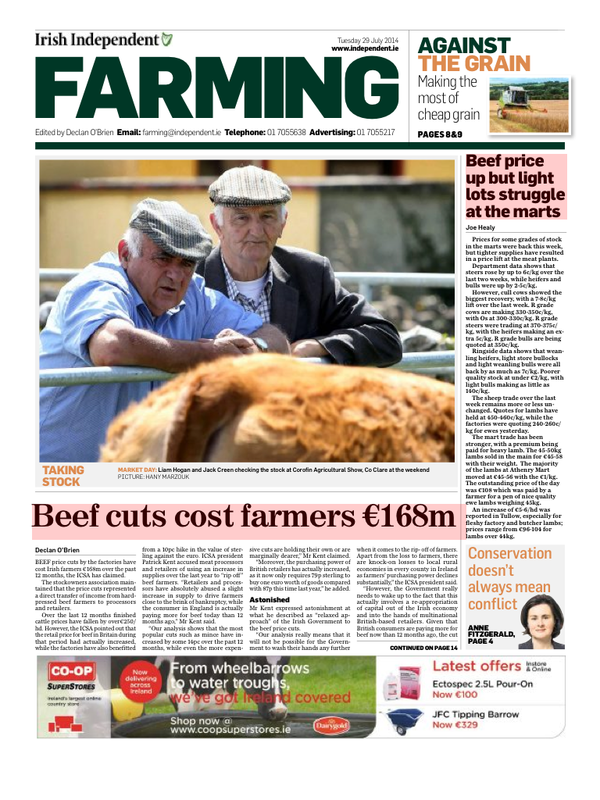 ICSA has focussed on all possible solutions to the crisis, and has been critical of labelling issues for beef born in the Republic of Ireland and finished/slaughtered in Northern Ireland, again getting front page coverage on this issue. On September 5th, ICSA members staged a protest at ABP Rathkeale in order to further highlight the ongoing crisis, and a letter was also handed in to the factory. On September 9th, West Cork ICSA staged a similar protest at ABP Bandon, attended by president Patrick Kent. On September 12th, ICSA called for all farmers and farm organisations to support its threatened withdrawal from the Bord Bia Quality Assurance Scheme by signing a petition, either online or at the Ploughing Championships. Click here to sign the petition. For more photos, visit our Beef Open Day Gallery, see our Facebook page or follow us on Twitter, @ICSAIreland.